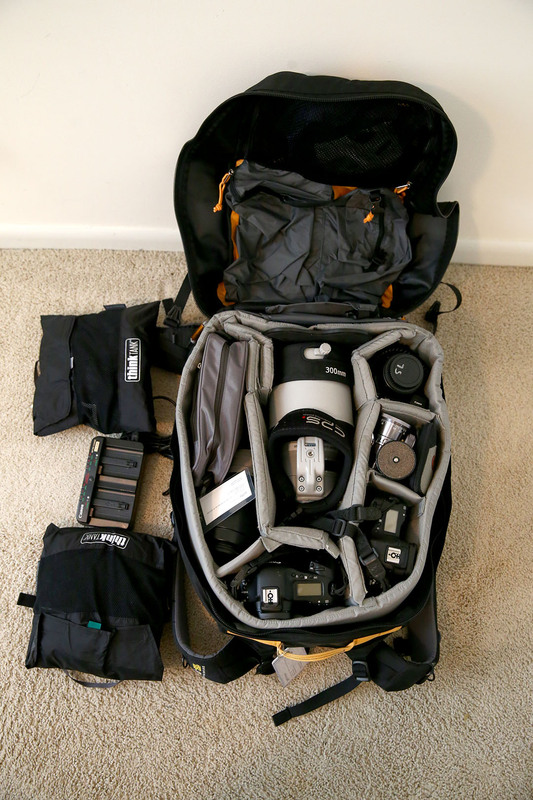 Posted by Dan Carr | Feb 6, 2014 | Gear, Sports Photography, What's In Your Camera Bag? 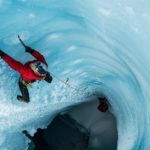 This post kicks of a short series of posts that will be posted on the site during the 2014 Winter Olympics where we’ll get to hear from some of the best sports photographer in the world and find out what gear they’ve packed to shoot the biggest event on the planet. 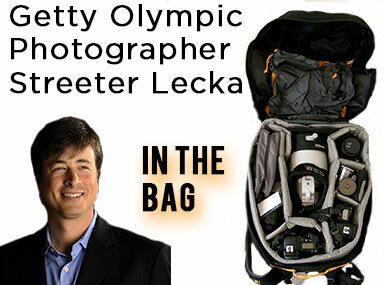 We’re starting things off by chatting to veteran Olympic photographer Streeter Lecka who works for Getty Images. I got the chance to ask him a few questions before he flew to Russia, and then we’ll take a look at his collection of Canon gear that he’s shooting with. Don’t worry Nikon fans……. later this week we’ll be talking to Leon Neal from AFP to see what he’s taking with him and he has one of the biggest collections of Nikon gear I’ve ever seen! Q:: How many Olympics have you covered in the past? A:: This will be my 6th Olympics I have covered. My first was the Winter games in Turin, Italy in 2004. They are unlike any event you will ever see in your life. Q:: Are there any special challenges that are presented with the winter Olympics versus the summer ones? A:: Mostly weather issues. You must prepare for the conditions more than anything because most days you can be asked to be in a certain place for 12 hrs. 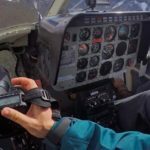 If that is outside on the mountains then you better have the correct weather gear. Not to mention you always need to have snacks as you don’t always know when your next meal will be. 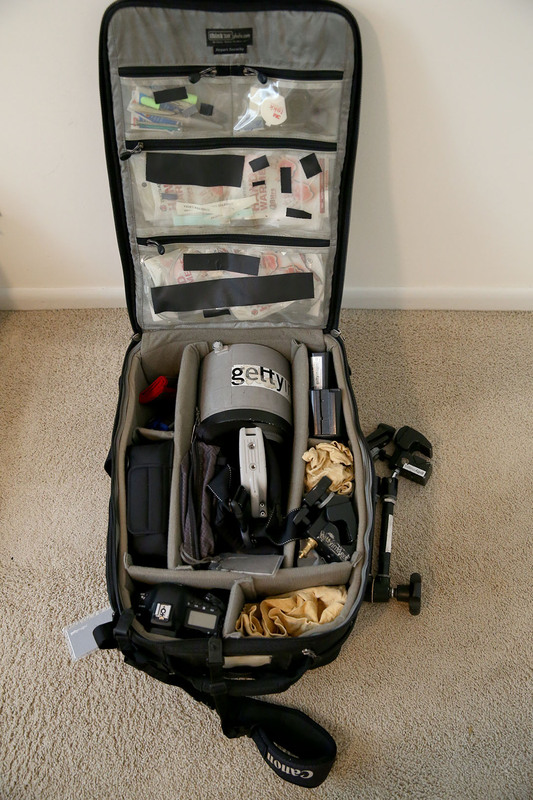 Q:: Getty must have a huge crew heading out to Sochi, how does it work when the team is covering so many simultaneous events, do you get assigned specific sports long in advance so that you know exactly what you’ll be covering when you get there? We have around 70 people going to the games. That includes, photographers, editors, sales, PR and tech crews. We are all scattered across every venue and it takes a lot of teamwork to have things to go well. Everyone has an important role in making sure the images are transmitted around the world. I will be a roaming photographer which means I will be shifted around each day to whatever event I am needed at. We also have venue photographers that will be stationed at a venue for the duration of the games. This will give me a unique opportunity to see quite a few events and photograph many types of sports. Q:: Do you have a personal favorite event? A:: Really any event at an Olympics is a favorite as we all work hard even during off years to get to be chosen to cover an Olympics. I am always up for whatever they decide to put me on and enjoy them all. Q:: If you know you’ll be covering a specific event do you do any special research beforehand to make sure that you know who the main players for the medals are going to be or do you get given a shot list that highlights who’s going to be getting the most media attention? A:: I always make sure to know who the real contenders are and what they all look like. We also get a shot list for each day and each event with certain athletes that we need to cover for different countries around the world. 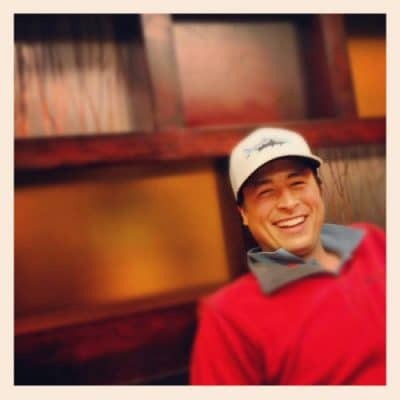 Q:: When did head out to Russia? Will it give you time to take a look at the venus you’ll be shooting at before the games start? A:: I came out Wednesday the 29th and won’t return until February 26th. We have close to a week to get acclimated and check out the venues. We also use this time to sort out all our gear and get any clearance on anything we might need during the games including hanging remote cameras. Getting a look at the venues before the action is important so that you can learn your way around the buildings and find angles you’d like to shoot from when the games start. It is especially important in outdoor venues as you can find your unique angles before the athletes take the playing field. Q:: Do you set up remote cameras at every event? 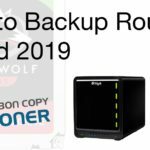 I would guess that there is very strict limitations on where these can be placed and when you’ll have access to them so some would have to be set up long in advance? A:: I will set up remotes only where I feel it gives me a unique angle that I couldn’t otherwise have or gives me the possibility to make something unique. It’s always worth trying something new. However, they are very strict about remote cameras because of safety concerns. 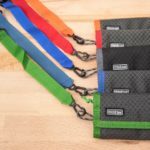 Everything must be safety cabled a certain way outlined by the IOC and all pocket wizards must be registered and stickered. Normally, you must have the remotes in a day before or sometimes you can go in the day of but many hours before the athletes and fans show up. It is something that you never want to rush. Q:: Your tech guys wire up the venues with cables long before the events so you can connect directly with them during an event for transferring images. How often do you try to get to the computer to send the next batch? It must me nice to have other people dealing with captioning the images so that you can concentrate on the photography. A:: We have had tech guys wiring for a couple of weeks already and they are a lot of the magic behind the scenes. Without their work, our pictures wouldn’t see the light of day. They are an integral part of the process and allow us to get images out to the world seconds after they happen. We set up out computers to send out every image we shoot. They are then seen in the main press center by our huge team of editors that sorts though, Photoshop and captions all the pictures. There would be no way to shoot and edit with the tight deadlines we have so a huge weight is lifted by our editors. It allows me to really focus on my one and only job of making great imagery. There is a huge amount of pressure on the photographers during Olympics and being able to concentrate solely on photography is a huge advantage. Q:: The Olympics are 16 days long, will you get a day off 🙂 ? A:: No Chance. We will work 16-18 hr days from the start to the finish. You go to Olympics to make pictures and work harder than you will at any other event. But the tradeoff is worth it when you know these images will go down in history. It is a grind but worth every memory, even the ones that aren’t in photographs. Dan: Haha, that’s what I figured! Follow Streeter on Twitter for all the latest updates from Sochi! 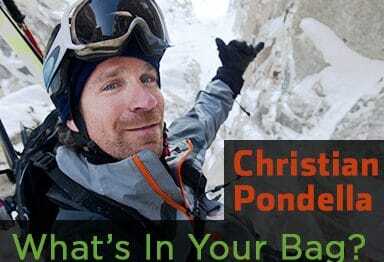 Christian Pondella - What's In Your Bag? 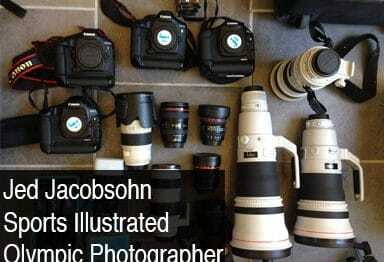 Jed Jacobsohn Is Covering The Olympics For Sports Illustrated - What's In His Bag?